I guess I’m one of those stubborn Dylan fans. I mean, I like to think that I’m not – I certainly don’t love everything the man has done and I always try to keep on open mind when it comes to other artists covering his songs. 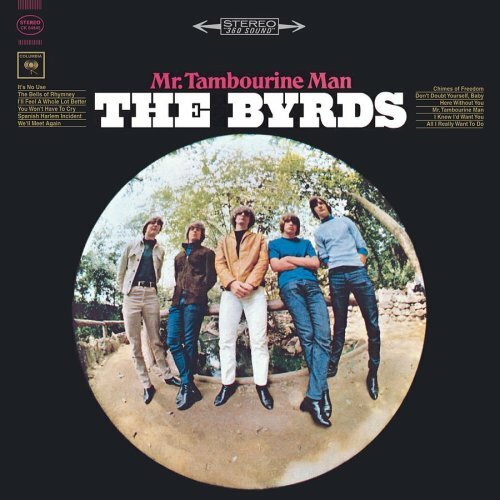 But the Byrds’ covers, I just can’t stomach. This album actually made me despise them so much, that it was only about a year later that I discovered that they have some great stuff as well (I really like ‘5th Dimesnion’ now). But the title track is a complete quackery in my opinion – the equivalent of taking one random quarter of ‘Don Quixote’ (they couldn’t be bothered to sing more than 1 strophe?) and wrapping it in a more colourful cover, if you get my drift. Same goes for ‘Chimes Of Freedom’. And ‘All I Really Wanna Do’, as you put it “almost sounds like a love song”. Nothing wrong with love songs, except that that tune is not one, nor is it supposed to be. I feel that they completely missed the point of the original track. I realize this sounds a bit harsh, but I’m just being honest. I do like some of the other tracks (I’ll Feel A Whole Lot Better is great) and also the general sound and vibes of the album as a whole. It’s just the covers that I have a problem with.